These days, most paint sprayers are powerful enough to spray most wall paints flawlessly without you needing to dilute the paint used. In our opinion, it no longer matters whether a paint is "sprayable" without dilution. We tested many types of wall paints. To meet our customers' demands, we tested many different wall paints. The wall paint supplied by Global Paint delivers great coverage. This excellent result for Global Paint, combined with its handy jerry can packaging, convinced us to stock this paint and be in a position to offer advice on this product. We cannot give definitive answers when it comes to paint coverage. After all, this has to do with the current colour of the wall surface, or whether a wall has already been sanded or primed. However, we can say that if the wall surface is lightly coloured and well-prepared, one coat of paint is generally enough. Some general tips for a flawless result. Work in strips, from top to bottom and then from left to right if necessary. Suggested use for each Wagner paint sprayer model. 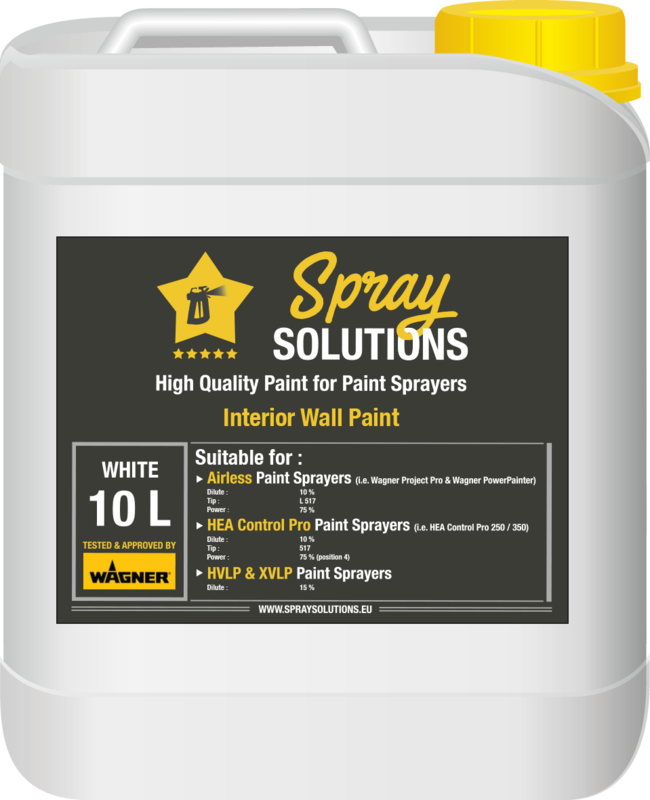 The paint has been extensively tested on each paint sprayer we stock so we can provide the best advice for each machine.